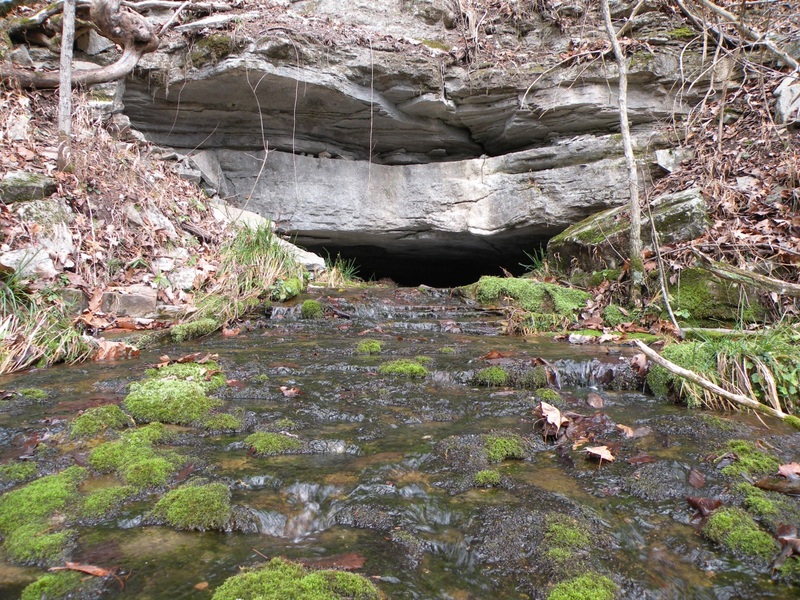 Springs are abundant in the Ozark Plateaus Region in northern Arkansas. The spring above flows to the surface along a bedding plane between the Plattin Limestone (upper half of picture) and the St. Peter Sandstone (covered in lower half of picture). 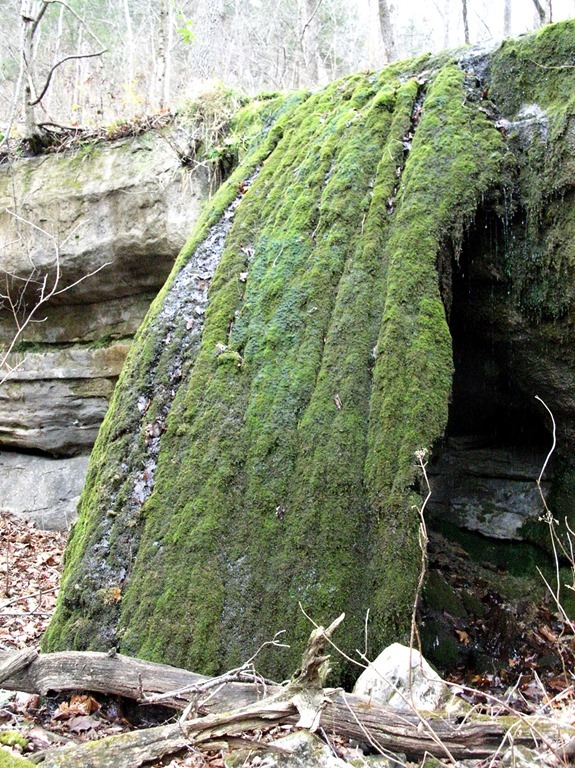 It is common to see springs at the base of limestone units. Limestone is more easily solutioned than sandstone or shale, allowing water to travel downward from the surface by cracks and through openings in the rock. 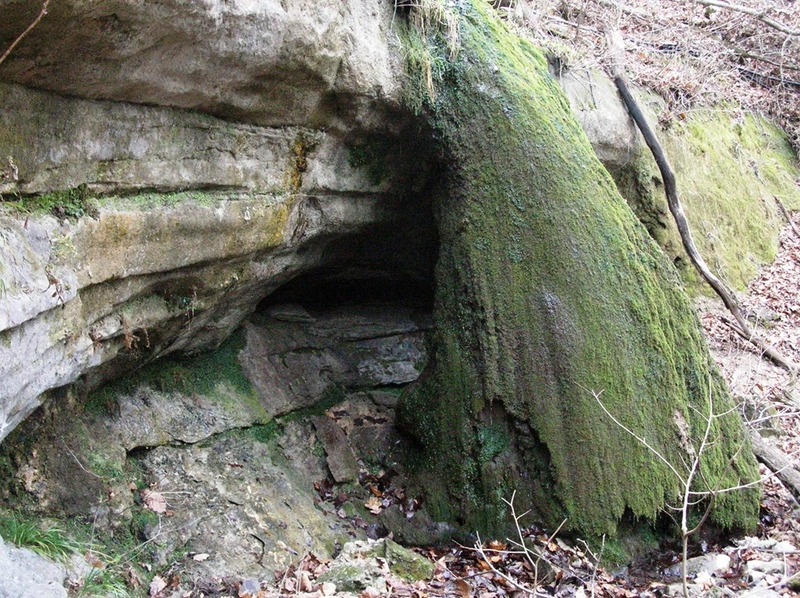 Once the water reaches the sandstone (as pictured above) and can no longer travel vertically, it will flow laterally along the bedding plane between the limestone and the sandstone until it reaches an outlet such as a spring along a hillside or in a valley. This entry was posted in GeoPic of the Week and tagged limestone, Ozark, Ozark Plateaus, Plattin, Plattin Limestone, sandstone, spring, St. Peter Sandstone, water on January 17, 2014 by argeology.